The Republic of South Sudan, on independence on July 2011, inherited a higher education system already distorted by the Islamist Al-Ingaz (Salvation) policy of massification and a phenomenal horizonal expansion, which witnessed proliferation of institutions of higher education. However, this quantitative expansion has in essence been the unmaking of higher education itself in terms of quality and relevance. The dearth of financial and technical resources to meet this inordinate expansion registers in the plunging of the academic standards. South Sudan with a population of under ten million has five public universities. These are housed in premises which originally were secondary or intermediate schools. The existing academic facilities [laboratories, lecture halls, libraries, student hostels] can not cope with the growing student population. The shortage in academic and technical facilities means that the students barely complete the minimum of the academic programme to qualify them as graduates in their respective particular disciplines. The students’ accommodation and feeding, which determines the physical and psychological readiness and ability to learn and absorb knowledge, is another area of concern. The poor working conditions of the university academic staff have a direct impact and indeed resulted in the plunging of the academic standard and the poor performance of the university graduate. This is reflected in the poor standing of our universities in the world rating of universities. In a nutshell higher education is in dire need of a complete review, overhaul and streamlining to blend with the regional and international best practices. The quantum leap from quantitative, what this horizontal expansion was in essence – a condition perpetuated the civil war and the economic crisis the country faced since 2013, to qualitative higher education is therefore imperative in order to realise excellence and its social relevance in the post conflict South Sudan. This will require a shift in the mindset that has so far dominated higher education to enable and facilitate a review and change of the legislation and policies that have precipitated the present conditions of higher education. 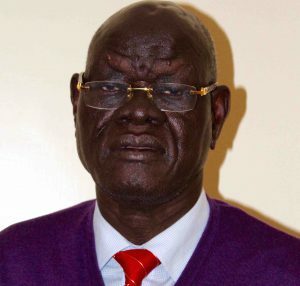 This pathetic situation of the higher education system in South Sudan has been exacerbated by the civil war that erupted in December 2013, which shifted resources to defence and security spending. This triggered instability in the universities leading to student unrest and academic staff strikes over un paid salaries and allowances. The agreement on the resolution of conflict in South Sudan (ARCSS) and its implementation in letter and spirit will bring respite to the country. It is hoped that the peace agreement will return stability to all sectors of social, economic and political life of South Sudan impactibf on higher education in terms of policies and positive interventions. The important linkage between higher education institutions and society particularly their outreach activities and research must be enhanced. The higher education philosophy and policies must derive from the national goals and objectives of social, economic and cultural transformation of society. In the post conflict South Sudan, this will require necessary amendments to the Higher Education Act 2012 in order to facilitate smooth transition in higher education systems and institutions including the Ministry of Higher Education, Science and Technology as well as the National Council for Higher Education. Academic Freedom – to ensure that the universities and other institutions of higher education including private providers have full freedom to determine the scope, content and social relevance of their academic programmes. Administrative autonomy encompassing democratic governance at all levels of the university administration – to enable the universities govern themselves by themselves. This must provide for ‘election’ rather than ‘appointment’ of Vice Chancellors, Dean of Colleges and Head of Departments. Financial independence – which allows the universities freedom and leverage over their budgets, and generation of own financial and economic resources for their development and the implementation of their academic programme. The policy should encourage establishment of ‘centres of excellence’ in certain universities and around individuals of intellectual talents. The objective will be to break out of the current inertia and academic stagnation and deterioration by concentrating human, financial and technical resources to enhance specialisation particulary in the domain of science, technology, engineering, mathematics and innovation. The National Council for Higher Education and the Ministry of Higher Education, Science and Technology should play the leading role in encouraging research and innovation. They should lead the process of developing the National Science and Technology White Paper and bring on board all the ministries and institutions with science and technology embedded in their mandates. Higher Education is increasingly becoming a market marked by cutthroat competition. Construction of world class university campuses for the five public universities if Juba, Bahr el Ghazal, Upper Nile, Rumbek and Dr. John Garang Memorial University of Science and Technology fully equiped with modern learning facilities has become imperative. It will give meaning to university education in South Sudan and render it competitive in the region of East Africa and the Horn of Africa. It is imperative that the higher education strategic plan (2012-2027) be revived and executed. The important linkage between higher education institutions and society particularly their outreach activities and research must be enhanced. This includes cultivation and inculcation of national awareness, political conciousness and promotion of indigenous knowledge systems especially in medicine, law, justice and peace building in communities shattered by wars and conflict. In conclusion, post conflict higher education policies and/or interventions should of necessity include but not limited to legislative and political engineering processes to transform higher education system from quantity inherited from the Ingaz system, to quality in order to realise excellence and social relevance of higher education for effective contribution to the social and economic development in the Republic of South Sudan.